The treatment straightens your natural eyelashes at the root, so unlike a traditional lash perm it creates the effect of longer, lifted lashes in just 40 minutes. 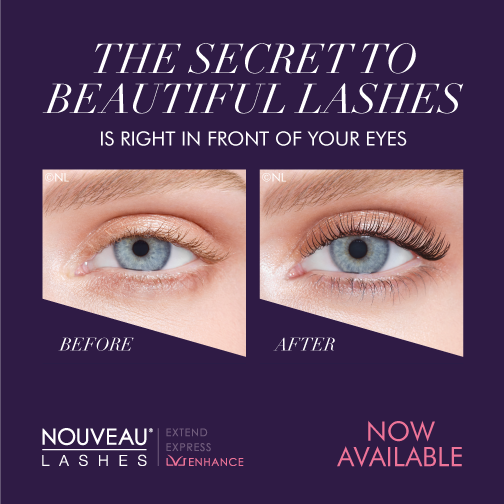 They’ll stay that way for six to eight weeks, especially when you nurture your lashes with our exclusive Nouveau Lashes Conditioning Serum. The results are immediate, plus the added lash tint creates a mascara-type effect so you are always ready to go. Whilst there’s no evidence that LVL treatments themselves can be a problem for pregnant or nursing mothers, we recommend that no treatment be undertaken for these clients. This is because if any complications arise for any reason, the client may look for someone to blame. Likewise, pregnancy can cause heightened allergic symptoms and reactions: some women find their allergies reduce, other find they increase. This could mean that a client might be highly sensitive to the products used during a treatment.